Do you love a well-told Yuletide tale? I must admit I do. 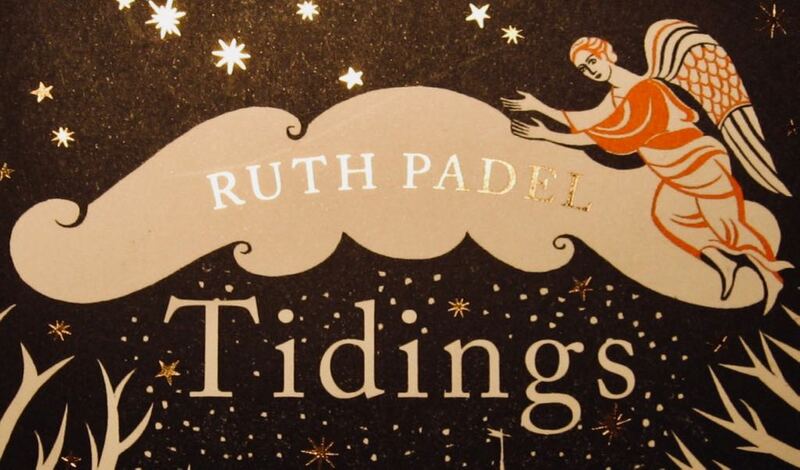 One of my favourite festive books last year was Tidings: A Christmas Journey by Ruth Padel (Chatto and Windus, 2016). This moving narrative poem has all the hallmarks of a modern-day Christmas classic. The poem is voiced by Charoum, the Angel of Silence, who only speaks on Christmas Eve. This freezing night, a homeless man walks the London streets with an urban fox. In the same city, a little girl gets ready for Christmas with her family and prays for a puppy. The angel observes them both with compassion as their stories unfold over 24 hours. This is a little book with a lot of depth. Padel’s poetry perfectly captures that magical and timeless stillness – of night, of the heart, of the classic Christmas tale. She explores the different meanings and realities of Christmas, and delicately reveals human longings, loneliness and the hope of healing. Twenty-first century London comes to life in the poem too. There are delightful juxtapositions of ancient and modern. The image of seven-year-old Holly prancing through a Roman archway at night in shimmering LED trainers is one that stayed with me. The hardback edition is beautifully produced and satisfying to handle. It is illustrated with striking two-colour prints by Sarah Young. All in all, the perfect package for a poetry lover.